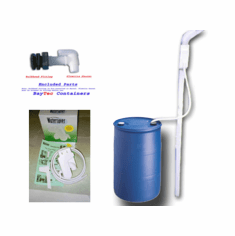 54 Gallon Rain Saver Water Barrel, Free Shipping! 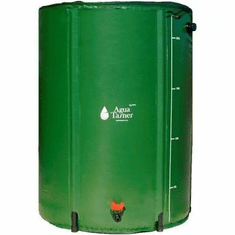 Home > Barrels & Drums > Water Barrels, Rain Water Barrels & Water Bags > Rain Barrels & Rain Collection Systems > 54 Gallon Rain Saver Water Barrel, Free Shipping! 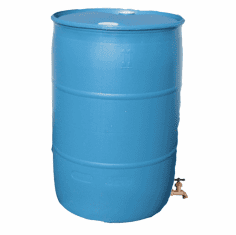 Home > Barrels & Drums > Plastic Barrels & Drums > Rain Barrels & Rain Collection Systems > 54 Gallon Rain Saver Water Barrel, Free Shipping! 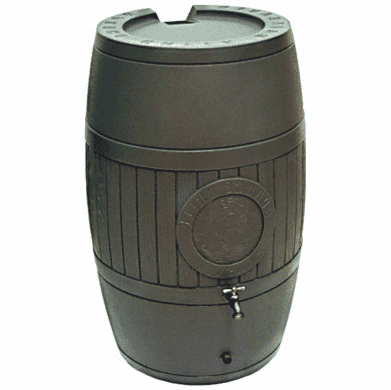 Home > Barrels & Drums > Rain Barrels & Rain Collection Systems > 54 Gallon Rain Saver Water Barrel, Free Shipping! � Measurements: Height 36" X 23"
These new barrels have 1/4" thick, UV protective polyethylene plastic walls, which make it perfect for outdoor storage. The screened automatic overflow and six foot diverted hose (can be extended to almost any length with standard sump pump hose). 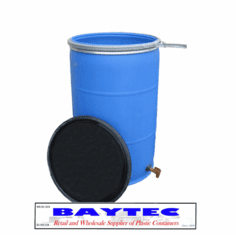 These Heavy Duty Water Barrels have two dispensing points which allow simultaneous hose & spigot access. The durable brass threaded spigot and other high-quality components will withstand harsh weather and wear for years. 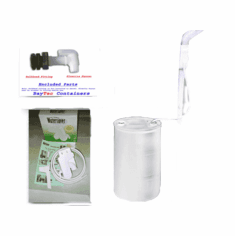 Connect more than one barrel together with the adapter for more water collection storage: Ask for the optional overflow hose with our linking adapter. Solid Mould Design prevents accidental drowning with the only a screened 3" intake opening; this also prevents outside contaminants from entering your water. *NOTE: Free Shipping on All items only apply to the 48 contiguous states. * Notice;On Special Free Shipping Item Returns,Actual Shipping charges will be deducted from customer refunds on any returned Free shipping item. Customer is responsible for shipping charges for delivery and return of the item. *NOTE: Free Shipping on All items only apply to the 48 contiguous states. Durable High Density Polyethylene (HDPE) Material. It resists mold, mildew, rotting,and insects. Has Two 2" Bung Caps. Lowest Price On The Internet. 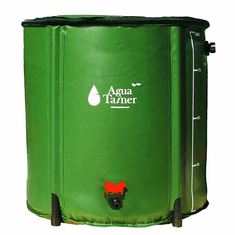 Questions & Answers about 54 Gallon Rain Saver Water Barrel, Free Shipping!